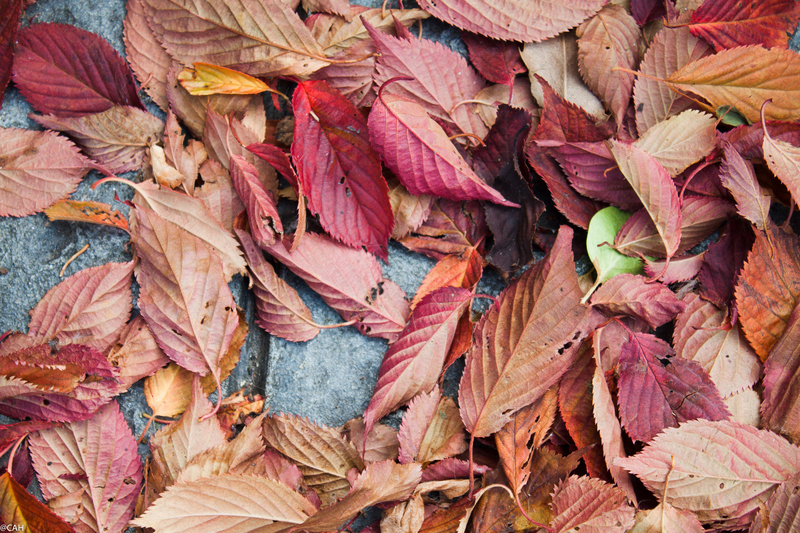 The cherry tree outside my studio is always the first to colour and drop its leaves in early autumn. The days are noticeably shorter and on Tuesday, my last early start for work, I found myself noting that I will need another layer and perhaps even gloves very soon. 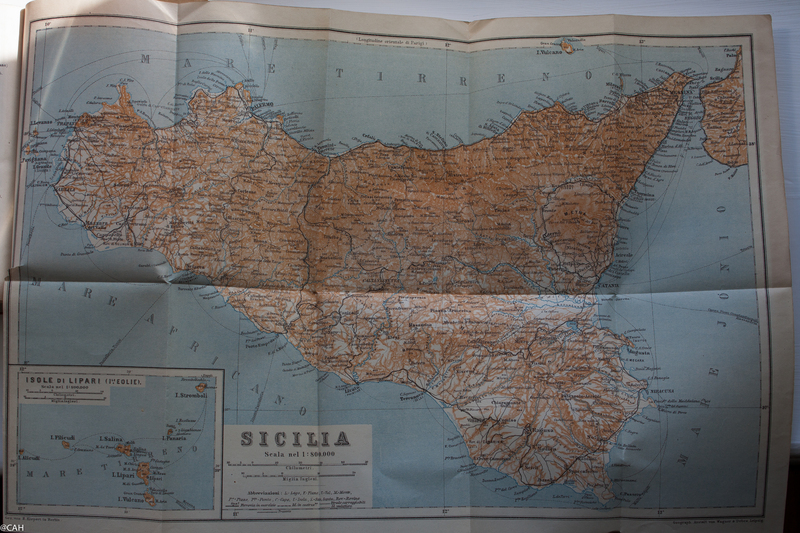 We have planned a trip to the volcanoes of Sicily and the Aeolian islands for some time and tomorrow we drive down to Gatwick before flying out to Catania on Saturday morning. It is always interesting to compare the descriptions of places we are visiting in my antiquarian guidebooks with the situation on the ground in the 21st century. 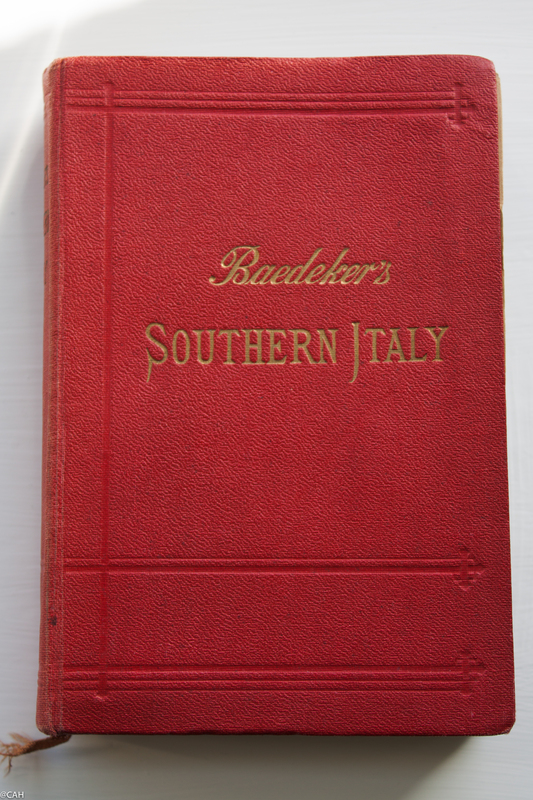 Baedeker’s Southern Italy (published in 1912) does say that July to October is the best time of year to visit the area but describes the mule and horse transport to take you up to the hiking departure point on Mount Etna. We will be using vehicles but having a pony train to transport your equipment and support staff is familiar from trekking in Ladakh a few years ago. I ended up going over one of the high passes (4,900m) on horseback as I got central cyanosis a little further down. Fortunately there are many interesting mountains at a lower altitude and on Sunday we will be visiting Mount Etna. The mountain weather forecast is for a clear sky (they had storms earlier this week) and a high of 5 degrees at the summit (chill factor 0 degrees). Sunday looks like the best day for a view as later in the week it looks like cloud will be coming in. So we are packing from temperatures from 0-30 plus degrees.